There is a Snow White character meal coming to Disney’s Wilderness Lodge in place of Artist Point. This Disney World character dining will be a prix fixe menu, including shared starters, a choice of individual plated entrees and ‘sweet spells’ to finish the meal. With Star Wars Land (Galaxies Edge) opening at Disneyland, now alcohol will be available at Oga’s Cantina. Opening in Summer 2019 at Disneyland and Winter 2019 at Walt Disney World. You can now book a Disney Min Van to MCO (7 am – 10 PM) pick up times. The cost is $150 (each way) and the vans hold up to six people and up to 8 bags. If you don’t need a van we have done Uber for $34 from Disney World to MCO and that has worked out well for the two of us. 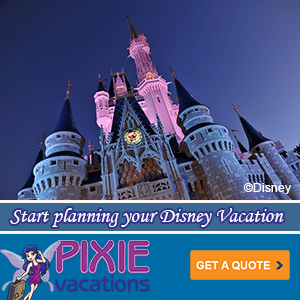 Also don’t forget Disney’s Magical Express which is free and part of your Pixie Vacations Disney vacation package when booking on site Disney World vacation packages. There are rumors that Mickey’s Backyard BBQ is closing to make way for a new Disney DVC resort at Fort Wilderness. There is also a rumor that a new dinner show will be coming as part of the new DVC resort area. 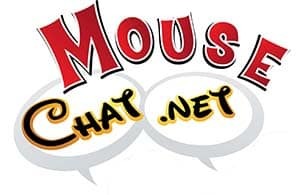 For more Disneyland, Disney World and Disney Cruise Line news please listen to our full Mouse Chat Disney Podcast.